I received a package in the mail the other day and inside was this beautiful pink die cut heart. The sentiment stamped on the front reads, "A token of appreciation." I absolutely loved this sweet and simple addition to a package I was already looking forward to receiving! 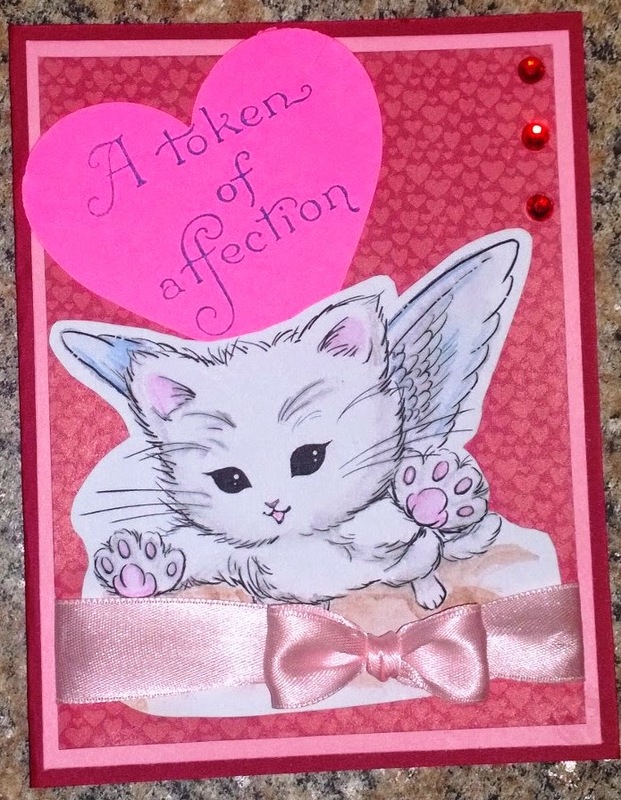 Could not throw this away and decided to incorporate it into a love-themed card.